Few things are as overwhelming as registering for baby products for your first child. In addition to the fact that you have no idea what you’re doing, you also have 9,000 choices of bottles, car seats and strollers. Just thinking about it is enough to make anyone need a nap. During busy transitional seasons of our lives, like planning a wedding, buying a house, starting a business, or having a baby, it’s understandable to feel temporarily overwhelmed. But “overwhelmed” has unfortunately become our new normal . Chalk it up to our overbooked schedules, competing commitments and a Pinterest-perfect standard of life. We often wear busyness as a badge of honor. But if we’re honest, being overwhelmed is exhausting. 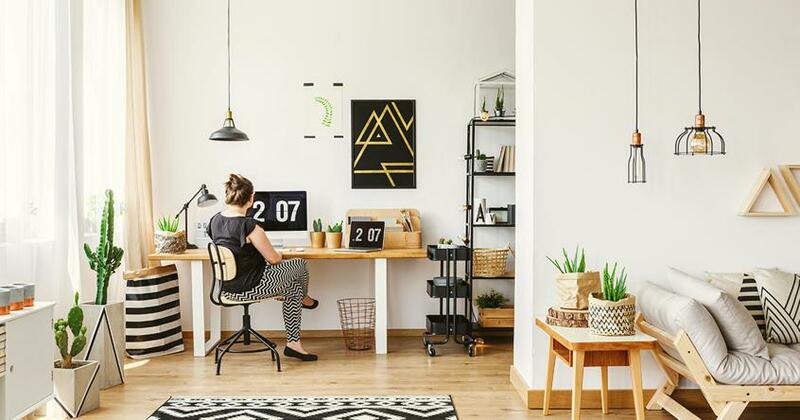 It doesn’t matter if you’re at work or at home, the black hole of things yet to do can zap the energy, productivity and joy out of your life. Most people think that stress is caused by having too much to do. It’s not that we have too many things going on; it’s often that we have the wrong things going on. So when we remove the wrong things, we can remove the anxiety and exhaustion that go with them. 1. Make a list. 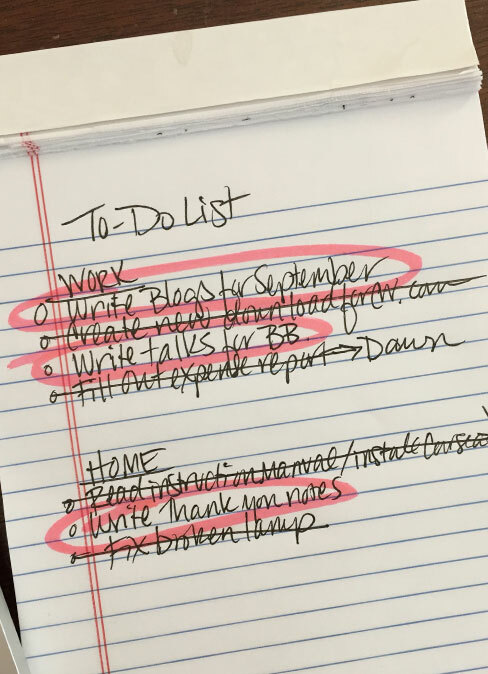 I know this seems obvious, but simply writing down everything you need to do can provide an incredible amount of freedom. When you take the ideas, tasks and to-do’s swirling around in your mind and put them on paper, you remove the anxiety of the unknown. When you can see them all in one place, you can relax because you’ve defined what you need to do and taken back control. 2. Circle the things you enjoy. After you’ve written everything down, go through and circle the things that sound fun and the things that you’re good at. These are almost always the same since we usually don’t enjoy tasks that we’re bad at! These are in your sweet spot. You’ll be the most successful, energized and fulfilled when you spend as much time as possible doing what you love. 3. Get rid of the things you don’t enjoy. The things you don’t enjoy are what overwhelm you the most. These are tasks that you don’t know how to do, aren’t good at, or don’t want to do. You can get rid of these in several ways. For one, identify someone to help you and write their name next to the task. Maybe you pay them. Maybe you barter with them for their assistance. Or maybe they just help you out from the kindness of their heart. Then, if possible, you could always cut some of those tasks out entirely and not do them. We do a whole lot of things that we really don’t have to do. Removing the tasks that you don’t enjoy will significantly remove your stress as well. If you can simply write down everything you need to do, identify what you enjoy, and find help for everything else, you’ll feel significantly less overwhelmed. Plus, you’ll get to spend more time doing what you already love! 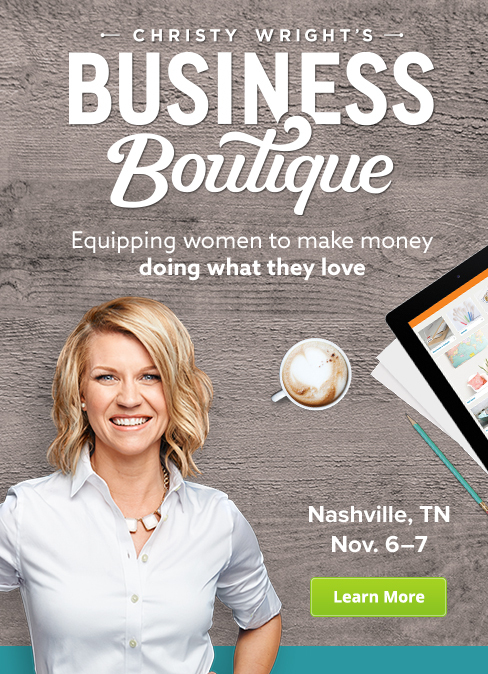 Learn how to eliminate overwhelming distractions and make money doing what you love at my brand-new Business Boutique event.